DIY Cerge's style co2 reactor SEE VERSION 2 below. Thread: DIY Cerge's style co2 reactor SEE VERSION 2 below. Kris, whats your return pump L/hr? Any of those options are fine. I think its best to inject into reactor away from the inlet as if your pump is too powerful, the bubble could be carried all the way to outlet. Yes the bleed valve will be fine like that. I have an irrigation 'tap' on the end of mine but you can also fix check valve foe insurance if you wish. Ok thanks do you bleed reactor with pump off mate? Hey man I only bleed it when I do filter maintenance. It air locks when I try to start the filter again. Hey i just fired up the pump and reactor and it only feels half full. Has it got a air lock in it I thought it would be full mate. I have got a 4mm hose in the cable gland at the moment with a check valve on it. Shouldn’t this bleed the air out. What’s your thoughts mate on what’s going on. You mean its half full of CO2?? If its just air, just manually bleed it out. If you want auto, then a venturi loop might be an idea but not really required. Must have been air mate because I tipped it upside down and all the air come out the outlet pipe. Is that how you would have manually done it.? Also mate does it matter about the position off the co2 hose in the cable gland? 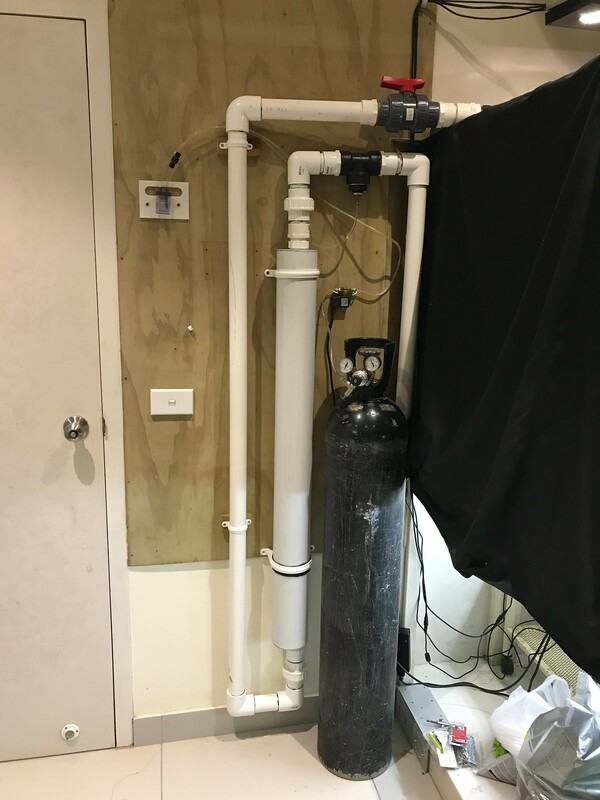 Does the hose have to be right in there so it’s touching the water or does it sit above and push the co2 through? Last edited by axl; 26-02-18 at 07:20 PM. All times are GMT +8. The time now is 09:33 AM.